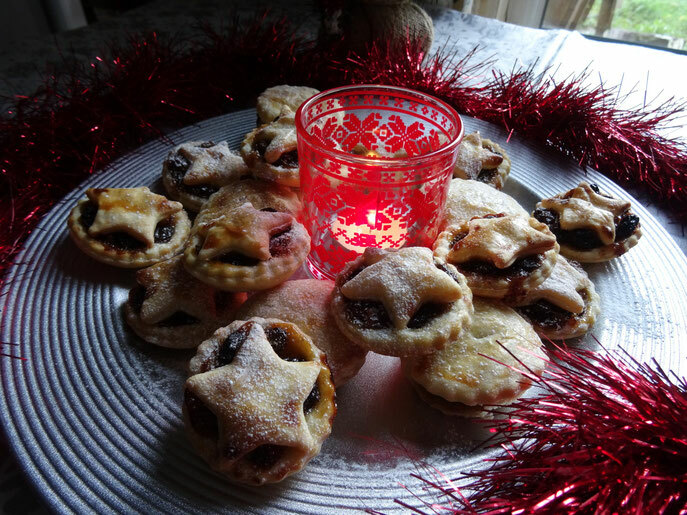 So you've got your mincemeat ready & the pastry is made-now let's put them together! Pre-heat the oven to 180 Fan/200C/Gas 6 & grease the holes of two 12 hole bun tins. 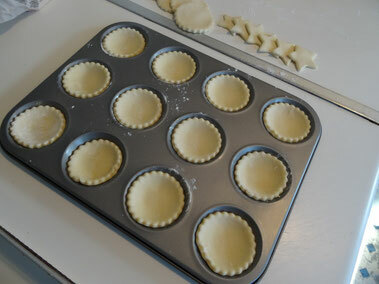 Remove the pastry from the fridge, dust your work surface with flour & roll out the pastry to about 3mm thick. Take a 2 ½ inch pastry cutter & cut out circles of pastry to line the holes in the tins, re-roll the pastry as needed & cut out more circles. You could use a small star cutter if you have one & use it to make the lids! 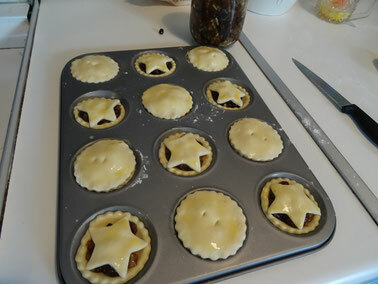 Using a teaspoon fill the pastry cases with mincemeat being careful not to overfill (I would say about 2/3 full). Bake for about 20-25 minutes, but keep your eye on them! Remove from the oven & allow to cool for a few minutes then carefully remove the pies from the tin. Let them cool on a wire rack, then dust with icing sugar. Serve slightly warm if you like or at room temperature.